It might appear that I have been brewing like crazy recently, and if you're talking to my wife she would agree with you. Living in a a cold weather climate this time of year I try to take advantage of every day we get that is above 40 degrees to get outside and brew. Most recently I have taken some inspiration from Chris at Lewybrewing.com and started doing some double brewdays, his system seems to make it much easier for him the mine does but I manage. I have only done it three times so far but I have been dialing in my process quite well. On this occasion this beer shared a brewday with the Philly Breakfast Stout. There were three of us working on the day so things were a little easier then my other two double brewdays but timing is still key so that the brewday does not run on for over 8 hours. Now to the beer, I'll keep this short and sweet because this is not even my recipe. By this point you've probably already heard of Modern Times Beer, they have gotten alot of attention over the last few months, and rightfully so as they came out of the gate very strong with their first four year round offerings (Blazing World, Fortunate Islands, Lomaland, and Black House). Modern Times has been on my radar ever since they tapped Michael Tonsmeire, from the TheMadFermentationist.com, to develop those very recipes as a brewery consultant. Tonsmeire's blog has been the inspiration for my own blog, and I would assume many others, and his postings have really helped me along the way to become a better brewer. From the beginning Modern Times has been an open book when it comes to their recipes and process for these beers with links directly to the recipes on BeerSmith, their idea was to crowd source the homebrew community on the recipes as well as build up interest in their brewery. I had always wanted to try a couple of their recipes, but it was on the back burner until a few months ago I got my hands on cans of each of the four and was blown away. Over the next few months I plan to brew three out of the four of their year round beers starting with Blazing World. I enjoyed the Black House but a stout would last on tap in my house for a little too long, next will be Fortunate Islands and Lomaland both are right up my alley. Blazing World is described right on the can as Hoppy. Dank. Amber. I couldn't agree more with those descriptors, its has moderate but sharp bitterness, big tropical fruit notes and an underlying biscuity malt presence to "balance" it out. 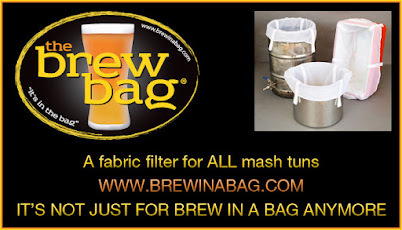 I took their recipe right from the website as a starting point but made some tweaks for my system and my preferences when brewing hoppy beers but the basic beer should be very similar. I increased the amounts in some of the hop additions, especially in the late additions and dry hop, i bittered solely with CTZ instead of CTZ and hop extract since I had a bunch on hand. I also moved the Simcoe mash hop to a first wort hop, I realize these can be pretty different but I am still not sure I get anything from mash hopping. The other change I made was using BRY-97 American West Coast Ale instead of 1056, this really isn't much of a change from 1056 and I have been wanting to try it out for some time now. Misc: 15 seconds of pure O2, tank ran out mid aerate so I shook the fermenter for another 60 seconds. Filtered New Jersey tap water, no water adjustments because I am not familiar with the profile. Notes: Lag time was very long with this strain, 36+ hours without seeing visable fermentation in the Better Bottle. I was about to do something about when I got home from work at the end of the 2nd day but things had taken off. You can read more about mine and Five Mile Brewing's experiences in this thread. We had to substitute the Roasted Barley for the Pale Chocolate due to availability locally, I tried to scale it down to match the color of the original as best I could. Sounds great... hope I get to try it! You're going to love the Fortunate Islands recipe. Still one of the best beers I've brewed.